This is part 2 in which we will be setting up Sysmon in our WEF server. 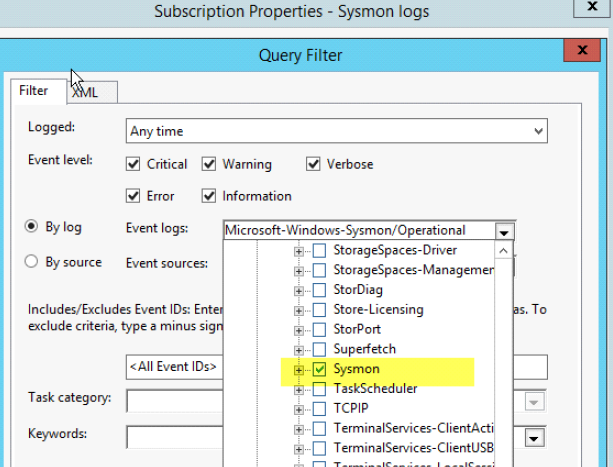 As you saw in the previous article, there is no option for Sysmon subscription under event viewer. Let’s resolve that. 4.You should then see a message similar to the screenshot below, and eventually see the service Sysmon getting started. 5. Verify that sysmon is running by going to windows services.